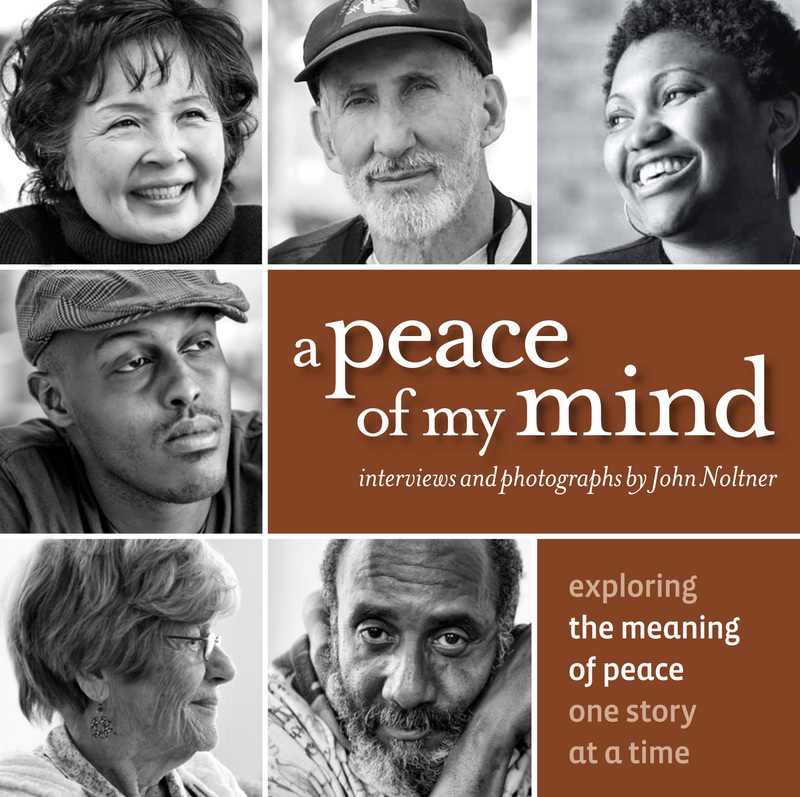 A Peace of My Mind’s exhibits will transform your space and inspire dialog around issues of civic responsibility, justice, and social change. Schools, businesses, civic organizations, and faith communities across the country have hosted the exhibits and experienced a rich opportunity for engagement. We now offer three separate exhibits, drawn from the stories in A Peace of My Mind. Each person is featured with a striking portrait, a concise biography, and an inspiring passage from their interview. Each exhibit is supported by additional online content. The exhibits often serve as a centerpiece for ongoing programming during the installation. This programming can be led by the artist, or by your staff using simple engagement tools designed for the exhibit. Please reach out through our contact page to discuss pricing and availability for your venue. Our newest exhibit is free-standing, double-sided, easy to set up, and will quickly transform any space for presentations and workshops. Based on our second book, A Peace of My Mind: American Stories, each of the 32 panels is 36” wide and 72” high. The format is flexible and the pieces can be displayed in a space from 1,000 – 5,000 square feet, depending on layout. The American Stories exhibit is typically delivered and installed by the artist and is designed to install for 1-day to 1-month exhibits. The exhibit is connected to online content that allows viewers to interact with web-based bonus material including audio clips, slideshows, videos, and discussion questions. Our portable display banners are free-standing, single-sided, easy to set up, and will quickly transform any space for presentations and workshops. Based on A Peace of My Mind’s first book, each of the 52 banners is 34” wide and 78” high. The format is flexible and the pieces can be displayed in a space from 1,000 – 5,000 square feet, depending on layout. The display banner exhibit is typically delivered and installed by the artist and is designed to install for 1-day to 1-month exhibits. The display banners feature QR codes on each panel that can be scanned with a smart phone, linking viewers directly to each subject’s online podcast. Our original exhibit is designed as a formal gallery exhibit, consisting of 52 canvas gallery wraps, each 24” wide and 36” high. This gallery exhibit ships by commercial carrier to any destination, arrives in four custom crates and is installed by the venue according to simple enclosed instructions. The gallery exhibit typically leases for 4-week exhibits or longer and requires 120 – 150 feet of available wall space. Programming with the exhibits can vary from a 1-hour keynote presentation to a week-long artist-in-residency, working with audiences to engage with the artwork, foster dialogue, and gather stories from their own communities. The most common programming is built around issues of social change, faith, service, the arts, and integrating our personal and societal values into our daily lives.